Keeping your home cool during a stifling summer season is no easy feat. But it’s not impossible, as you’ll see from this assortment of tricks and tips, assembled from eHow’s favorite experts. Read on to learn more about keeping your cool in even the highest temps. Using the stove or oven during the warmer months is just asking for heat stroke—and pretty unnecessary, given how many delicious no-cook recipes there are. 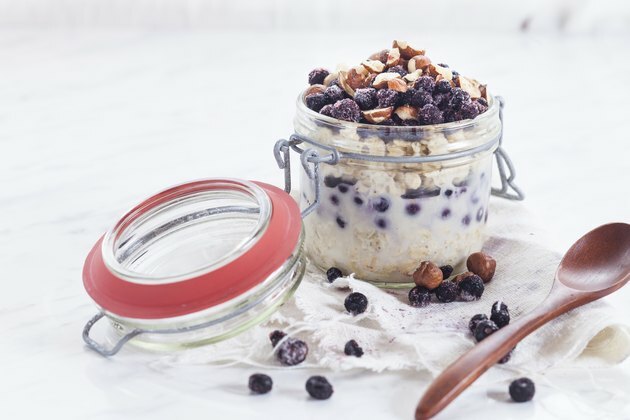 One of our favorite no-bake breakfasts is overnight oatmeal. Just add 2 cups of rolled oats, 2 cups of milk, 1 teaspoon of vanilla, and a sprinkle of brown sugar to a glass jar. Seal it up and place it in the refrigerator overnight. Come morning time, it’s ready without ever having to turn on the stove. High style and lower energy bills? 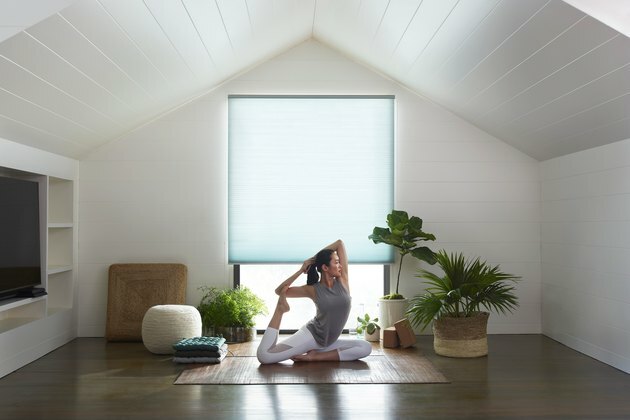 Yep, your window treatments can do that. 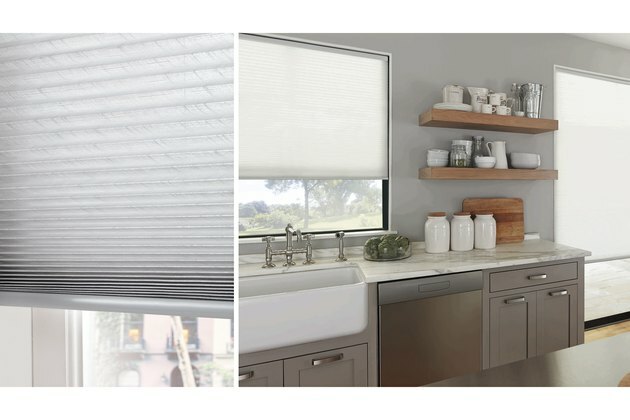 One energy-efficient option we love is LEVOLOR® Cellular Shades, designed with an innovative honeycomb shape; these shades help keep hot air out and cool air in to keep your home nice and comfy. 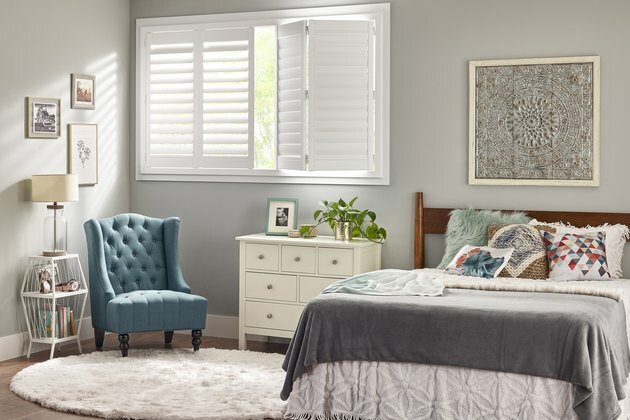 Choose from a large assortment of collections and colors available in light-filtering or room-darkening fabrics—or even both shades together (called Day/Night)—making it easy to set the mood and create the perfect summer retreat. For the final touch, add some strategically planted trees outside your most sun-exposed windows and get double the shade power. In the summer, fashion should be as relaxed as your attitude because who wants to wash, dry, and fold in the sweltering heat? No thanks. We struggle to find something as carefree and easy to care for as a loose-fitting caftan. Simply hand wash in cold water and let it air dry outside while cooling off with friends under your garden cabana. No drying means no heat gets caught in your home. Any room you’re not using, keep that door closed — you’ll want to keep the cool air contained to the places in your home most used. Alternatively, as temperatures drop in the evening, crack your windows open and let the air flow in. But be sure to close those windows, blinds and shades first thing in the morning before temperatures heat up again. When it’s way too hot outside for the kiddos to do their usual exploring, consider keeping the adventures inside with popsicles flowing—no more running in and out of the house letting that precious cold air out. A playroom they love spending time in can also save you from hearing the dreaded "I'm bored!" exclamation every five minutes. This way, you can double-down on cooling the house by shutting doors to any unused room that may trap heat and restrict airflow. Deck the playroom out with an easy-to-make canopy fort, favorite books and games, and a bunch of cozy floor pillows. Take your DIY skills to the next level and make your own portable AC unit! Having a fan blowing hot air around is little relief, but you can take that same fan and turn it into a portable AC unit with only a few additional supplies. Now all you need is to set up a cool, yet cozy corner to relax in with a good book and a glass of ice-cold sun tea. 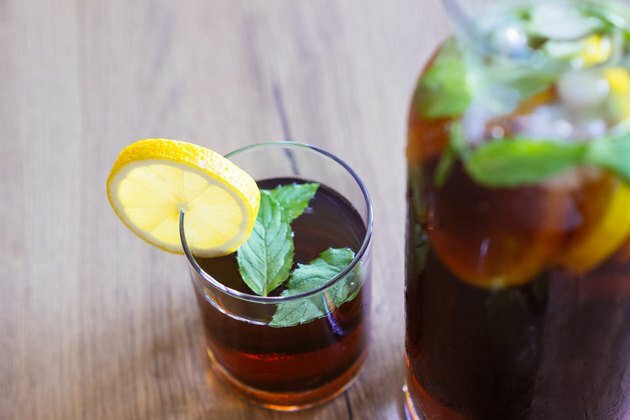 Sun brewed tea is a longtime summer tradition—the process involves steeping tea in a hot, sunny spot over an extended period of time rather than using boiling water. Let the sun do the work for you! Simply add cold water and tea bags to a large glass container, and then place in a spot that gets direct sunlight. The tea can be made in large or small batches and with only a few ingredients, using your favorite tea blend as a base. Add refreshing flavors, like, fresh herbs and slices of lemon and let the cool-down commence.